Geohot showed us a video demo of untethered jailbreak for the iPhone/iPod touch and iPad during the same time period when the iPhone’s SMS database was hacked by two amazing geniuses at Pwn2Own hacking contest. The hack really spread hope in masses that we can use the same technique back from iPhone OS 1.x days to jailbreak our iPhone/iPod touch and iPad. And now a hacker by the name of “comex” has managed to bring first userland (browser based) untethered jailbreak for iPhone 3.1.3 on iPhone, iPod touch and iPad. This jailbreak feat has also been confirmed by a member of iPhone Dev-Team on Twitter. Apple, like always does what it can to close all the holes in it’s OS so people don’t attempt such feats. The upcoming iPhone OS 3.1.4 or iPhone 3.2 will for sure disable and keep us from using the userland hack to jailbreak our iPhone. 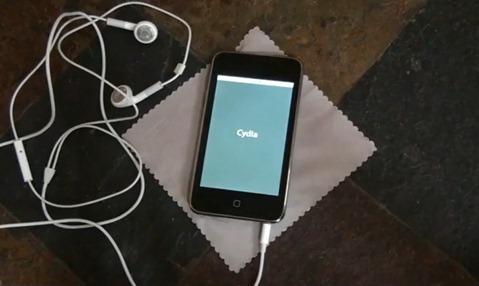 Well anyways, here’s a demo video showing the untethered jailbreak in action. By the way, there’s no ETA (Estimated Time of Arrival) given on when the userland jailbreak would be released. So stay tuned as we’ll keep you posted whenever it is released. UPDATE 1: Jailbreak iPad with Spirit is Real ! More info here. what iPhone is this? china made? i thought iPhone have headphone next to power on/off !!! This is the first generation itouch. Crackle lackle my shizzle! I like to play games wif my iphone 2.1. Can this new one play games also?? I stay wif my 2.1 ROCKSSSSS!!! I think the Apple has to provide some extra security features in iphone, so that it cannot be hacked by anyone. So customer's data will be secure in the iphone. just use umbrella to save your ecid shsh for 3.1.3 now..
in case apple released next fw..
jailbreaking, and unlocking doesn't put the users personal data at risk. If anything changing the default factory root password, (which can only be done after a jailbreak) makes your personal data more secure…. It can't be the first gen iPod Touch, because it is too thin, and the headphone port is on the bottom. The first gen is like a brick (compared to the second and third gen). I have a unjailbroken iPhone 3GS which is factory unlocked. As of now it is working perfectly on my non supported Vodafone Carrier. If I use SPIRIT to jailbreak my iPhone 3GS, will I lose my unlock? Why, do you know what that password is? People!, if you are using AT&T devices, and wish to սոⅼοсking it, I highly recommend you to try just google atttiphoneuunloockiing, it’s one of many most trustworthy սոⅼοсking site for AT&T phones, we have the option to սոⅼοсking the brand new 6S and 6C as well.